Shortly after Electroplankton arrived on my doorstep a few weeks ago, an astute Twitter friend of mine suggested I "approach it as a musical playground. Don't look for faults, just have fun experimenting." That seems to be advice everyone should follow after booting up this Toshio Iwai-designed title. 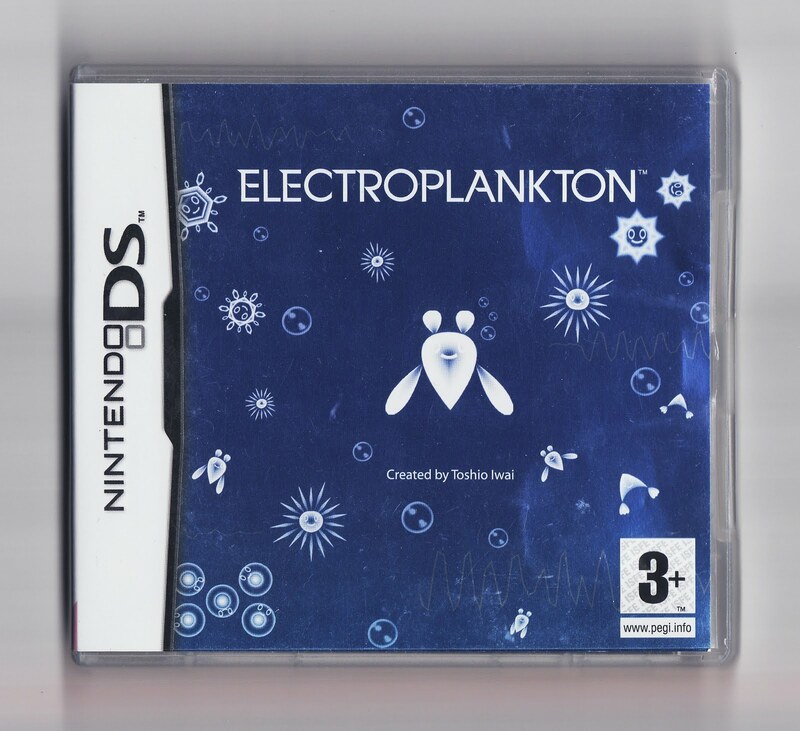 Another worthy piece of advice for Electroplankton newbies: Skip the rather yawn-inducing "audience" mode and go straight for the "performance" mode, where you're able to interact--using the DS' microphone and/or touchscreen--with any of the game's 10 music-making plankton. My favorite is Rec-Rec, by the way, since it allows you to create, using the DS' microphone, simple--four-track, four-second--songs. Beatnes, which lets you embellish--by tapping on the diamond-shaped heads, spines and tails of some particularly peculiar-looking plankton--a quartet of well-known Famicom/NES tunes, is a close second. Sadly, you can't use more than one type of plankton at a time, nor can you save any of your creations. 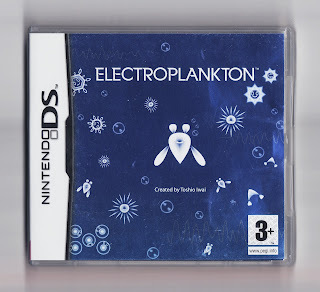 Don't let that keep you from giving Electroplankton a try, though; this digital instrument is well worth the price of admission if you're a music junkie--or even if you just like DS releases that utilize the dual-screened system and its distinctive features in enjoyably unique ways. 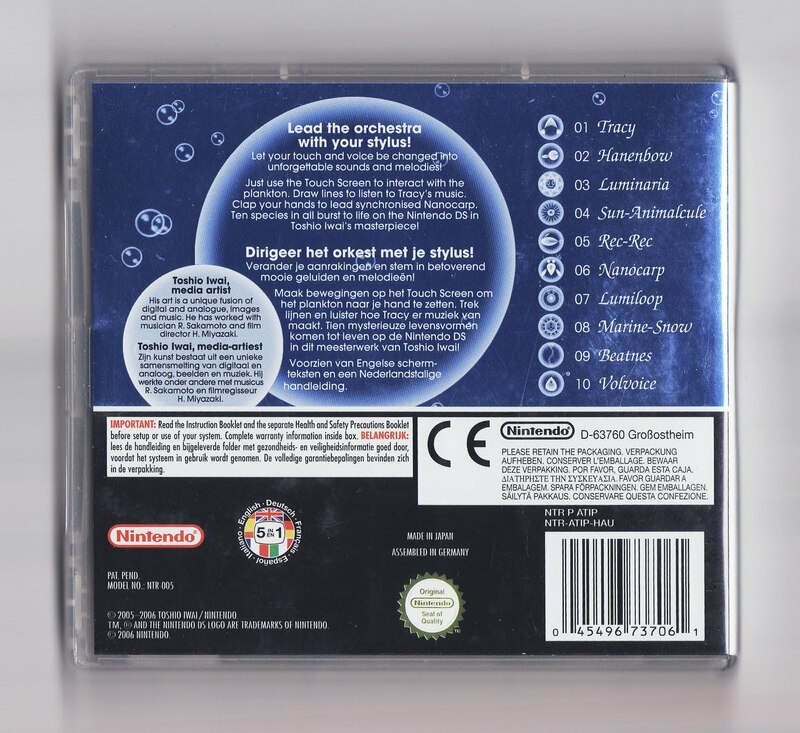 I kind of always wanted to play this. Then after Smash Brothers Brawl had a stage based on this game, it REALLY made me want to. Now, if I could only find it! Apparently the individual modes were released as separate DSiWare games, but I'd rather have a real copy and all that. Honestly, if you have a DSi or a 3DS, I'd buy one of the DSiWare versions and see if you like it before buying the full-on DS release. It's a very nice piece of software, and I'm glad I own it, but I can see how some would find it boring or not worth the price of admission. The rec-rec mode had me amazed for hours! It does have a great name and cover, doesn't it? It's in-game graphics are pretty nitfy, too. As for it being interesting -- it is! It's probably not for everyone, though. Basically, if the premise sounds fun, you'll probably like it. If it sounds boring, you probably won't.